How about that yellow! I haven’t seen much yellow bakelite and this is startling in its intensity. It puts the banana and pineapple to shame. Inferior in colour AND in plastics! These nested canisters are part of a set of 5. 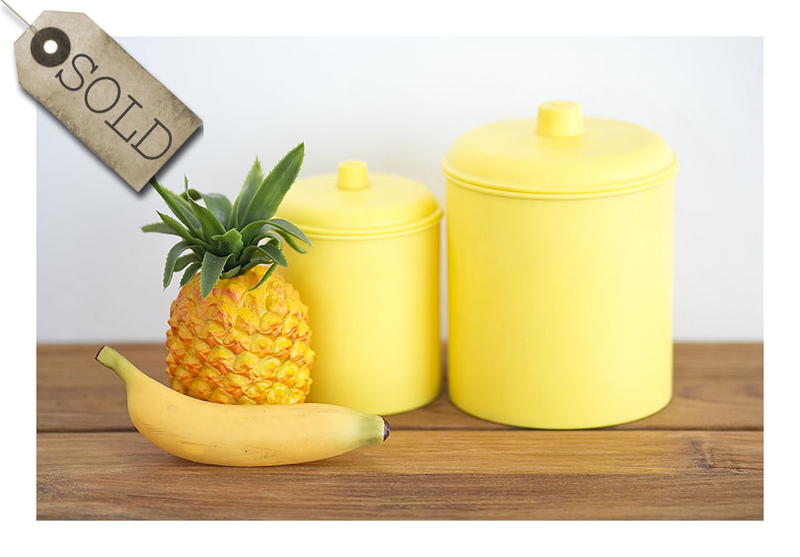 They are in excellent condition – for yellow bakelite. 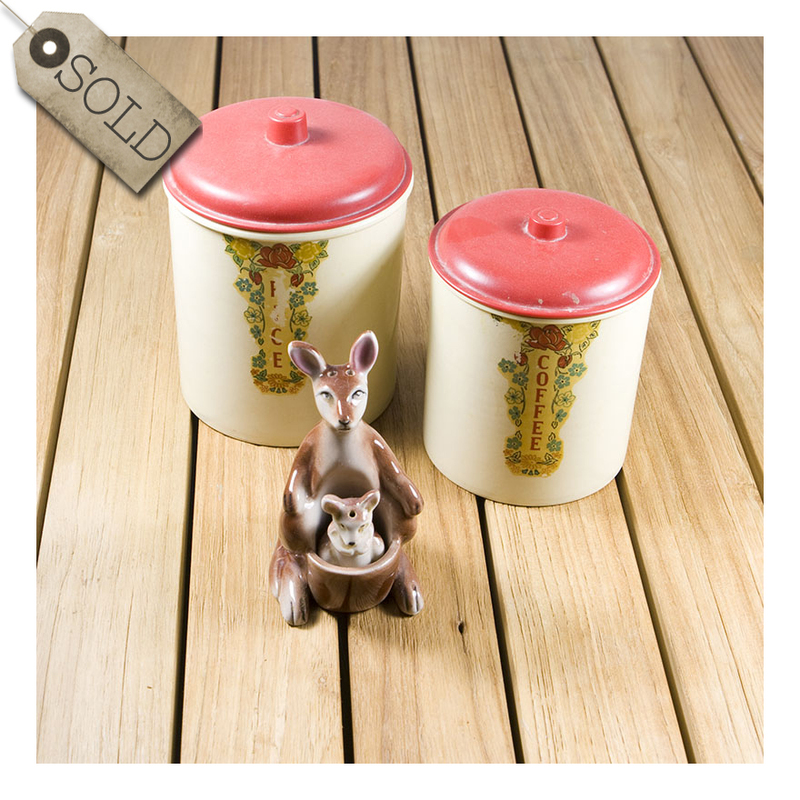 If you have been following my love [read obsession] with bakelite canisters [see below for evidence] you’ll be aware of the bakelite colours of the 40s and 50s. This is the one and only yellow example I have come across.